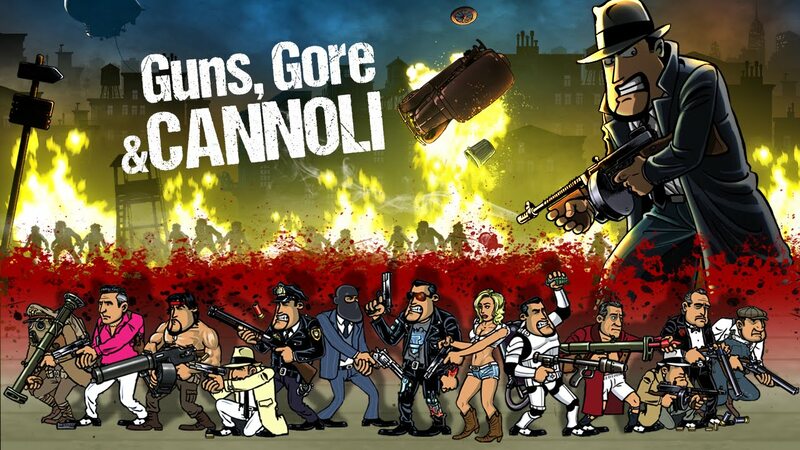 After successful releases on PC and Mac in April and Xbox One in September, Guns, Gore & Cannoli by proud FLEGA member Crazy Monkey Studios is now also available for PS4. The game combines mafia violence from the twenties with a zombie outbreak and lots of blood and gore. You play as Vinnie Cannoli, a hard-boiled gangster who comes to Thugtown to straighten a few things out. Vinnie is looking for a ‘goodfella’ who’s gone missing since the zombies took things over. He has to fight his way through a messed up city, filled with flesh eating maniacs, by using a wide range of destructive weapons and a bucketload of ammunition. 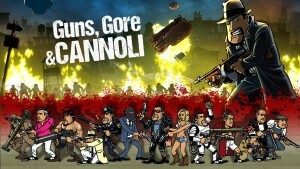 Guns, Gore & Cannoli stands out of the crowd in several ways. 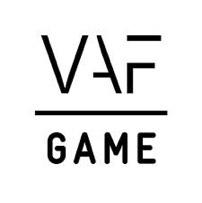 It features beautiful hand-made 2D-graphics and animations, an over-the-top sense of humor and awesome old-school, local co-op gameplay for two players (Vinnie is joined by his buddy Paulie).